We, Omkara Marketing Services are The Credible and Innovatory Digital Marketing Company, Display Advertising Company who provides quality Display Advertising Services, Google Display Network Ads Services,Remarketing Services, Online Banner Advertisement Services, to Promote your Small or Local or Medium or Big Sized Business, strategically targeted to potential customers, increase customer base, conversion, lead generation, Increase your ROI and sales, to reach customers across Millions of websites, devices, browsers and apps through befitting placement of all formats of display ads with the latest updated techniques. 2) The Display Network allows advertisers to do the following tasks. 3) We decide one of the following Goals for Display Network Campaigns. 4) We decide Where Your Ads appear on Google AdWords Display Network. 5) We set perfect Targeting for your Google AdWords Display Campaigns. 6) We work out for Display Network Ad Copy. How does your Google Display Ad look? 7) We also describe our clients that what is Pricing Model or how costs are calculated in AdWords for Display Network Marketing Campaign. 8) We also provide Standard and Dynamic Remarketing in Google’s Display Network for Display Ads. 9) We, Monitor, Analyze Results and Optimize your Google’s Display Network Campaign. 10) Thus we provide the following benefits to our clients through our Display Advertising Services, Display Network Marketing Company, Google AdWords Display Network Campaigns. 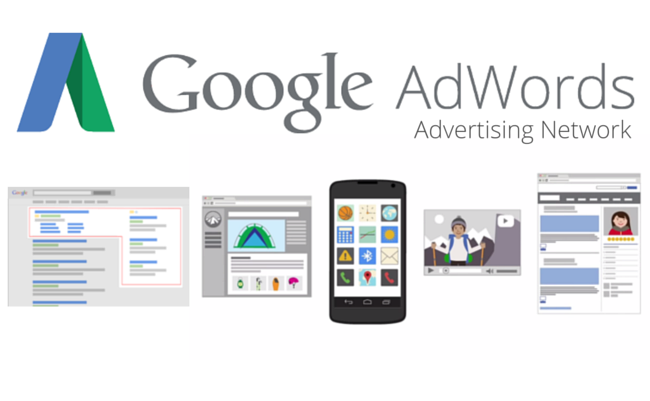 Google Adwords Display Campaigns are run on Google’s Display Network Only. If you haven’t read yet what is Google’s Network then please read a thorough article about “Google’s Advertising Network” where you will also get knowledge about what is SEM, what is PPC and similarly. What do we provide in the Display Advertising Services, Display Network Marketing, Google AdWords Display Network Marketing Campaign Services? Our expertized team will run Google Adwords Display Campaigns for your Business under Digital Marketing Services- Basic or Digital Marketing Services- Enhanced or as a separate Marketing Service depending upon which plan is selected by the Business Owner. 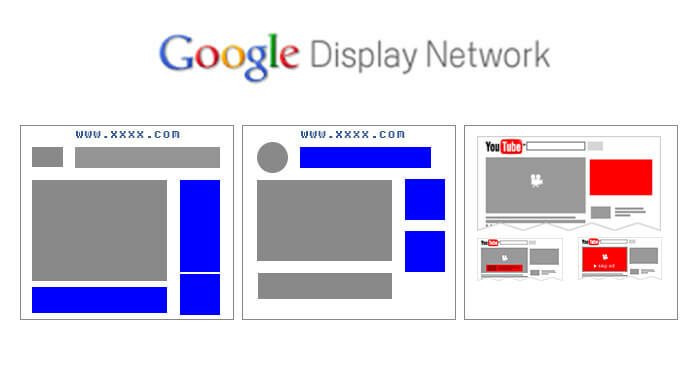 Basically, first of all, you must know what is Google’s Display Network? Google Display Network includes Google sites like YouTube, Blogger, and Gmail, plus thousands of partnering websites across the Internet or we can say a well-managed group of more than 2 million websites, videos, and apps who have embedded Google AdSense Code (Google AdMob for App) where your AdWords ads can appear. The Display Network includes a collection of Google websites (like Google Finance, Gmail, Blogger, and YouTube), partner sites, and mobile sites and apps that show AdWords ads matched to the content on a given page. Use appealing Ad formats to reach a wide range of customers depending upon different criteria like broad interests, topic, etc. Increase engagement with customers, nurture a relationship. Choose more specifically where their ads can appear, and to what type of audience they can target. When creating a Google’s Display Network Campaign, you can select a goal for your campaign based on the actions you’d like your customers to take. If you choose Google AdWords to use a goal, you’ll see recommendations for features and settings that can help you meet your campaign's specific marketing objective, under certain conditions. Basic Goal while choosing Google’s Display Network is to implement the practice of Outbound Marketing or Push Marketing to acquire New Customers and to follow your past customers / leads engaging them while creating a strong customer relationship. Google’s Display Network is also used for Brand Awareness or Brand Establishment. Goals are also referred as Marketing objectives (Just the features and options relevant to what you want to accomplish) in Google’s Display Network Campaigns. How it works: Marketing objectives guide you to the features designed to work best with your goal. AdWords Display Advertising Services, Google Display Network Ads Campaigns, Banner Advertisements-by Omkara Marketing Services, Google Display Network Marketing Company. Sites in the Display Network that partner with Google to show ads. Your ads appear on partners' websites, mobile phone apps, videos and other placements that you choose or that relate to your ads and keywords or other targeting methods that you've added. See which display partners have shown your ads by reviewing the automatic and managed placements listed in your campaign. Video partners on the Display Network: Just as outside of www.Google.com Text, Video and Image ads can be shown on the display network, you can show pre-roll videos on Google’s partnered sites. 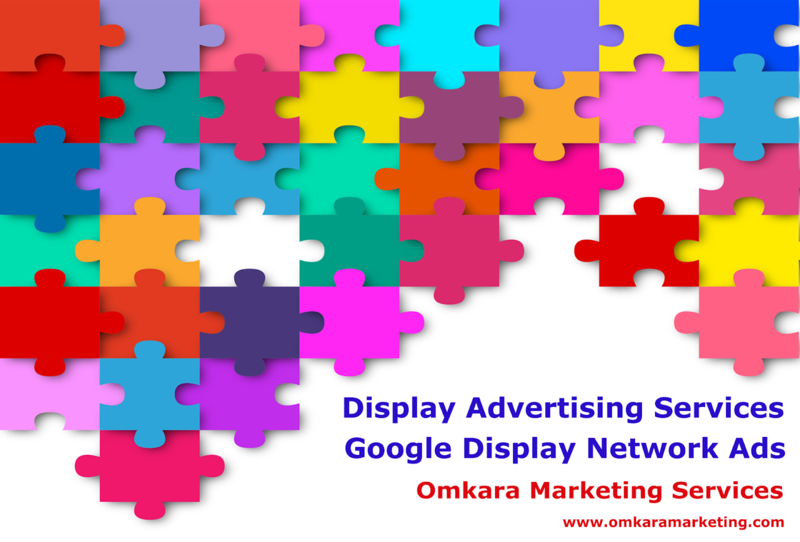 AdWords Display Advertising Services, Google Display Network Ads Campaigns, Banner Advertisements-by Omkara Marketing Services, Google Display Network Marketing Company. Image 1. Keyword targeting: These are words or phrases related to your product or service to target relevant websites, apps and videos on the Display Network by using 'Content' keywords. Topic targeting: Topic is the central theme or idea of a given web page/app/video where you want to show your ad.Target one ad to multiple pages about certain topics at once. Topic targeting lets you reach a broad range of pages on the Display Network. Placement targeting: Placement is a web page/website/app/video/video channel on Google’s Display Network where you want to show your ad. Audience targeting: Show your ads to specific groups of people based on their interests, psychography developed when they visit Display Network websites, videos, and apps.An Advertiser can reach people who've visited their site by identifying the affinity audience (affinity means having interest, liking and understanding for something.These are the users who have interests in the products or services similar to yours and this audience help you to build brand awareness on broad or tailored level)and in-market audiences (users who are researching products or services and actively considering buying similar to what you offer.) as well as setting up a remarketing campaign. Location and language targeting: Choose the language and geographic locations – such as a country, region or city – in which your customers are located. 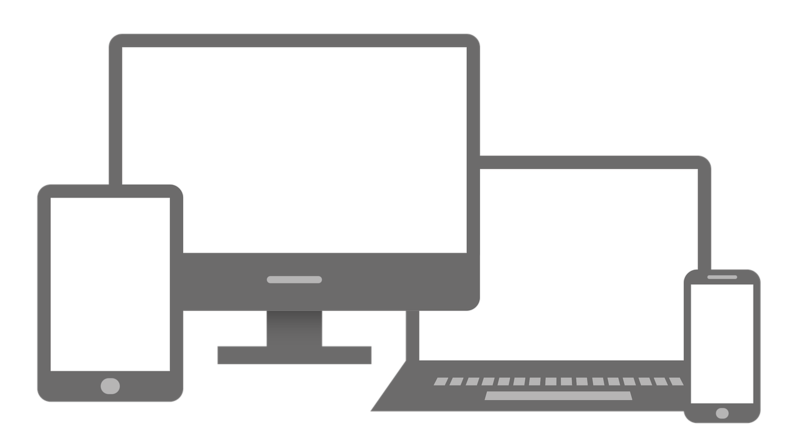 Device targeting: Allows to show ads to your customer when they visit Display Network sites on specific devices, or on any of them. Demographic Targeting:- Allows you to select the age, gender, parental status, or household income of the audience you want to reach. It is obvious that one would definitely have a curiosity that how a Google’s Display Network Ads look so that exact idea or a strong sense of the concept would be developed. AdWords gives you control over your advertising costs. There's no minimum amount that you have to spend. Instead, you set an average daily budget and choose how you'll spend your money. Just like in the AdWords Search Network Auction, your Max CPC bid isn't necessarily how much you'll pay per click. The price you pay -- Actual CPC -- depends on the outcome of the auction, and it’s often less than your Max CPC bid. What you pay is just what's required to rank you higher than the ad position of the advertiser immediately below yours or to clear the auction floor, if any during actual bidding/auction. You'll pay what's required to rank higher than the next best ad position only for incremental clicks (Different ad positions have different visibility on a given website/app/video due to availability of more than one places (ad location) where more than one ads can be shown, and therefore advertiser’s Ad get different number of clicks. This difference is named as Incremental Click) you get from being in the current position. You'll pay the price you would have for the next best ad position for the rest of the clicks. As per AdWords, you may pay an additional service fee for ads that use audience targeting. In such cases, your maximum bid is reduced before the auction and the fee is added to the closing auction price. Simple and well-known bidding strategy in Google’s Display Network Campaign in vCPM (cost per thousand viewable impressions) In this Advertiser pays only for ad impressions measured as viewable, you can with viewable cost-per-thousand impressions (viewable CPM). An ad is counted as "viewable" when 50 percent of your ad shows on screen for one second or longer for display ads and two seconds or longer for video ads. You can select Viewable CPM as a Bidding strategy when you choose CPM bidding for your "Display Network only" campaign. With viewable CPM (vCPM) bids, you only pay when your ad is able to be seen by potential customers the bove page fold. This means you're bidding on the actual value of your ad appearing in a viewable position on a given placement. Cost-per-thousand viewable impressions bids (vCPM) let you bid for impressions when your ads appear in a viewable position, and you only pay when ads are measured as viewable by Active View. Viewability is measured by the Active View(Active View is a technology on YouTube and certain Display Network websites and mobile apps that allows AdWords to determine if your ad is viewable by potential customers. ) technology on Display Network websites. An ad is counted as "viewable" when 50 percent of your ad shows on screen for one second or longer for display ads, and two seconds or longer for video ads. Remarketing is a feature that lets you customize your Google Ads Campaign for people who have previously visited your site, and tailor your bids and ads (using dynamic remarketing) to these visitors when they search on Google’s search Network or browse the web and use apps (i.e. Google’s Display Network). Standard remarketing: Show ads created by the advertiser to your past visitors as they browse sites and apps on the Display Network. Dynamic remarketing: Boost your results with dynamic remarketing, which takes remarketing to the next level with ads which are created by AdWords Machine Learning Algorithm automatically which are based on or that include products or services that people viewed on your website or app. You've created your ad, and it's up and running. Your next step is to find out how it's performing. Tracking statistics like clicks, impressions and click-through rate is a great way to start. It's also important to think about what you're trying to accomplish with your campaign, so you can focus on the statistics that can help you achieve your goals. Now that you've created a campaign, it's time to measure your ad performance. You can monitor, analyze your basic account, campaign and ad group information using the different data and reports available in AdWords and then use such information to optimize your campaign w.r.t. various aspects. Google AdWords also provides advanced reports that go beyond the number of clicks or impressions that you're getting, allowing you to see the impact that AdWords has on your business. As you get your campaign kicks off and starts running, you'll want to consider several different tools that can help you measure and optimize your ad performance. Below given a few tools – conversion tracking, Google Analytics and campaign experiments – that you can use to start measuring your results. It's the basic step and also most important to understand the business goals you're trying to achieve and the data that's most valuable and relevant to those goals if you want to use AdWords more effectively. Below given are the different metrics to focus on based on your goals. Display Ads Are Visually Appealing, Eye-Catching And Serve As Your Iconic Agent Who Works In The Online World. Display Ads Convert Leads Into Customers. Display Ads Have Massive Scale Reach Due To Collection Of Millions Of Website, Mobile Apps, Video Networking Sites, Etc. Display Ads Support And Enhance Brand Awareness. Display Ads Promote Customer Engagement. Increase Your Reach And Visibility With Display Ads. Display Ads Provide Statistics, Data. Measurable Performance And Maximized Results Are The Key Features Of Display Ads. Display Ads Use Custom Networks Through Effective Targeting. Display Ads Provide Standard (Static) And Dynamic Retargeting/Remarketing To Capture The Potential Customers. Display Ads Are Target Audience Specific. Display Ads Give Full Control On How Much You Are Willing To Spend. A/B Split Testing Gives More Efficiency To The Display Ads. Display Ads Are Cost Effective. Hope after going through this long article you must have understood the dedication we pay to our each and every client to raise his success graph. If you are interested in our service and want to take services of ours or have any query about our service feel free to ask us by contacting us immediately. We always welcome suggestions. Contact Us or Fill Inquiry Form so that we can contact you immediately, to make your beautiful dream the reality! Content (Image, Info-graphics, Blog Posts, Texts, Videos, etc.) required won’t be created by us for Google AdWords Display Network Marketing Campaign Services. We (Omkara Marketing Services) can provide Content only through our Content Marketing Services. Having a Really Good and appreciable Website is the Basic Need for Digital Success. We have identified it through our Digital Marketing Services. Most of the time what we have found that our clients are ready to spend a huge amount on our various service packages like Digital Marketing Services,Search Engine Marketing (SEM) Services, Inbound Marketing Services, etc. but they are not careful about their assets i.e. their Web-Pages which collectively form the Website which is their online presence. B) What do we provide in our Web Development & Web Design Services for Mobile Friendly and Mobile First Website? C) What is Responsive Web Design (RWD)? D) What is Mobile First Web Design? E) Why make a website Mobile First and Mobile Friendly? 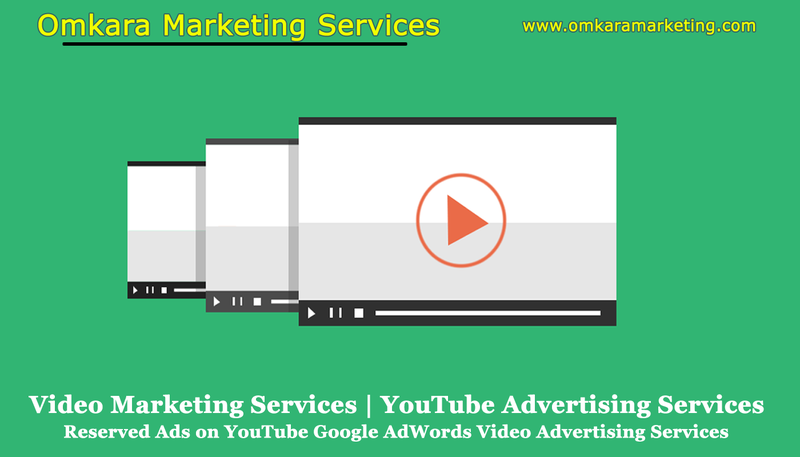 We Omkara Marketing Services, are India based Video Marketing Company, Pioneer in Video Marketing Services, Youtube Advertising, YouTube SEO, Google Adwords Video Ads Campaigns, Remarketing Campaigns, Reserved Ad Placements On Youtube to increase Customer Engagements, Quality Traffic & Leads, Conversation Rates, SERP Rankings, Brand Awareness, ROI. We are specialized in Google AdWords Video Network Marketing, YouTube SEO, Video SEO services, Video Production Services, YouTube Video Distribution Services, YouTube Marketing. We have the tech-savvy Video Experts, YouTube SEO Experts, YouTube Marketing Professionals, and Google AdWords Video Network Campaign Certified Specialists to run a successful Video Marketing Campaign, YouTube Advertising Campaign, Video SEO Campaign, and YouTube SEO Campaign. Quick Links to navigate on this Page I) What is Google AdWords Video Network?